The question has been raised about the difference between monochrome and ombre. I have to say that when I think of monochrome I think of photographs in black and white or in sepia tones. The description I found on line says, "consisting of or displaying images in black and white or in varying tones of only one color." Ombre on the other hand is colour "shaded or graduated in tone." I think of ombre as a one colour rainbow while monochrome looks like you put a colour filter onto a photo. With that in mind I went for sepia tones for my card and sepia tones always lead me to coffee images. Not too original I guess but it got some ideas flowing for me. And now it's your turn to get those ideas flowing! Check out the gorgeous creations by the rest of the design team and then get crafting! 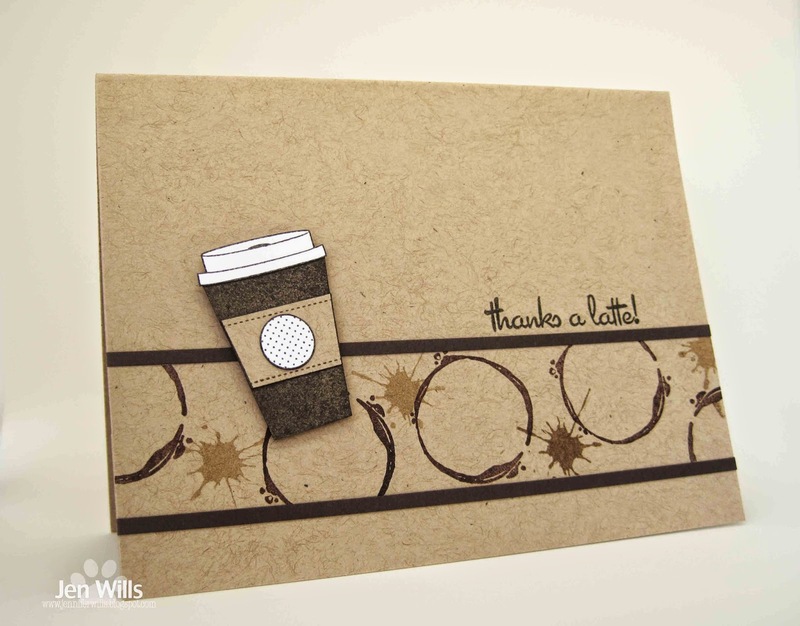 Great themed card - even the kraft card base evokes those cup holder thingies! Cute card Jen! I like the coffee rings and spills!! 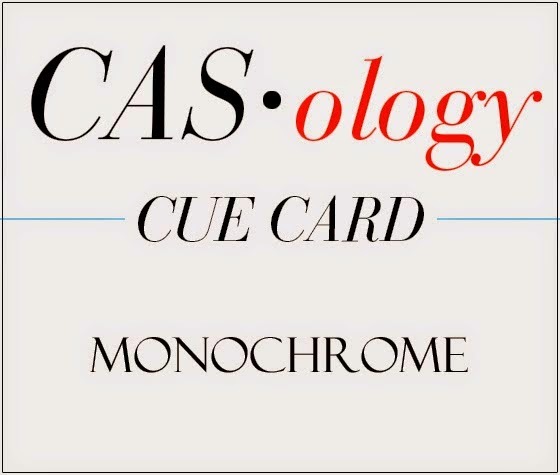 Excellent clarification, Jen...and your card supports exactly what you defined monochrome as being! I love coffee, so this is a favorite card of mine this week! So cute! I looked up the same definition, Jen, because I always thought monochrome was varying tones of one color. Your card fills the bill with the sepia tones, and it's darn cute, too. Love love love this card Jen. I think you knocked the monochrome out of this park. This really has that old film, sepia feel to it. Great choice of coffee stamps, too. Classic 'Jen' card, love it! Works for me too... I think it's a perfect monochrome card! Love this Jen!!! I sure hope that you join the Coffee Challenge this coming Friday!!!! LOTS of sponsors!!! Hey Jen! I love this card. The coffee circles are so cute. I love the dark brown on top of the kraft cardstock. Nicely done.